Below you can view all the homes for sale in the Oaks At Windridge subdivision located in Brownsburg Indiana. Listings in Oaks At Windridge are updated daily from data we receive from the Indianapolis multiple listing service. To learn more about any of these homes or to receive custom notifications when a new property is listed for sale in Oaks At Windridge, give us a call at 317-308-8198. Photos shown may be an artist rendering, model home, or of same model. MLS#21635889. CENTURY 21 Scheetz. Easy Access To I-74, I-65 & I-465. MLS#21629088. Carpenter, REALTORS®. 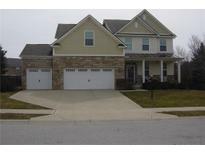 Popular location just Nth of Brownsburg w/easy access to all Interstates! MLS#21629329. Carpenter, REALTORS®. Epoxy floor in garage and basement. MLS#21626703. McNulty Real Estate Services,. Be the ultimate host and enjoy all the luxury this home has to offer. MLS#21626296. F.C. Tucker Company. Photos shown may be an artist rendering, model home, or the same model. MLS#21625553. CENTURY 21 Scheetz. 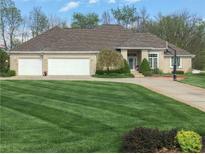 POPULAR UPSCALE nghd w/easy access to I-74, I-65, I465 & 86th St MLS#21623845. Carpenter, REALTORS®. There's something for everyone in this home. MLS#21622477. Taylor Penrod Realty. Upgraded wood laminate floors, wood 16x12 deck, & private backyard. MLS#21617960. HSI Commercial Group Inc. Photos shown may be an artist rendering, model home, or of the same model due to current construction stage. MLS#21617544. CENTURY 21 Scheetz. Photos shown may be an artist rendering, model home, or of the same model due to current construction stage. MLS#21616166. CENTURY 21 Scheetz. Photos shown may be an artist rendering, model home, or of the same model. MLS#21613301. CENTURY 21 Scheetz. Reagan Elementary, East Middle School, 4 star Brownsburg High School. MLS#21612641. Carpenter, REALTORS®. Photos shown may be an artist rendering, model home, or of the same model. MLS#21609412. CENTURY 21 Scheetz. Completion 3/19 Photos shown may be an artist rendering, model home, or the same model. MLS#21608778. CENTURY 21 Scheetz. Take a stroll out to the stocked lake and dock! MLS#21608399. ERA Real Estate Links. Completion 2/19 Photos shown may be an artist rendering, model home, or the same model. MLS#21606623. CENTURY 21 Scheetz. Photos shown may be an artist rendering, model home, or the same model. MLS#21605588. CENTURY 21 Scheetz.